Originally the Americana Motor Hotel, now a Doubletree by Hilton Atlanta Downtown was built and owned by Dr. Marvin Goldstein. The opening of the hotel became a crucial part of Atlanta’s acquisition of its first major professional sports franchise. 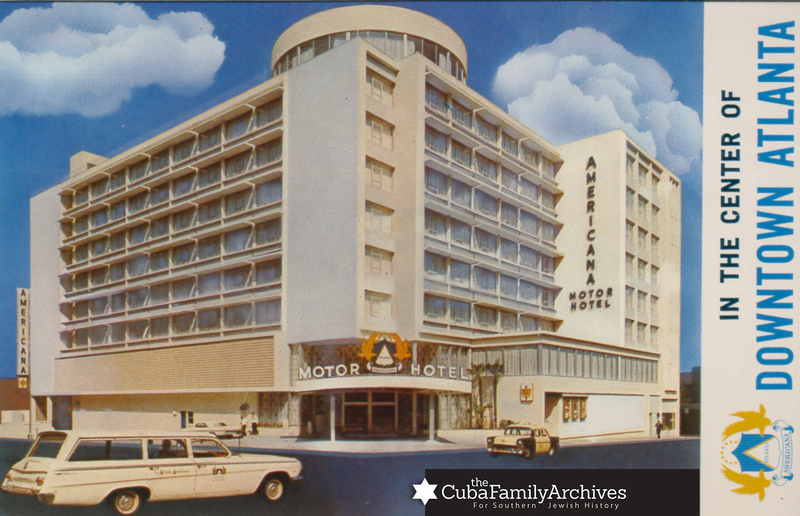 The Milwaukee Braves agreed to relocate to Atlanta in 1966 after the hotel opened as Major League Baseball required an integrated hotel to accommodate visiting teams. For directions to the hotel, view the map above. To learn more about the hotel during this period in Atlanta history, browse the articles below.